Wanting a better mobile phone experience? 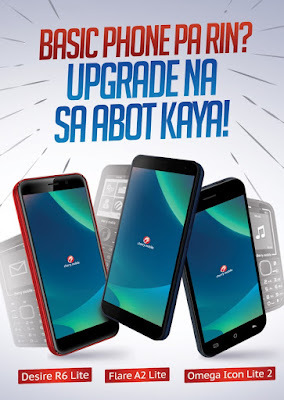 Upgrade your basic phones now to a Cherry Mobile smartphone for just Php2,499SRP! All powered by an Android Oreo (Go Edition) OS, these three devices offer a smooth and efficient performance. It’s about time to make your desires come to life with a reliable smartphone just like the Desire 6 Lite. Powered by Android Oreo (Go Edition) OS for an optimized mobile experience, this device can be your best companion as you go about your daily tasks. Watch movies and enjoy online surfing on its 5-inch TrueView 18:9 display. Take photos using its 8MP rear and 5MP front cameras; and save your files on its 8GB internal memory that can be amplified up to 32GB via microSD. The Desire R6 Lite is available in black, blue, red, and gold colors. Make things light and easy together with Cherry Mobile Omega Icon Lite 2. Sporting a sleek built, the Omega Icon Lite 2 can be a one-man phone companion as you complete your to-do’s. It is powered by the same efficient Android Oreo Go OS and is crafted with a 5MP rear and 2MP front cameras. Grab the Omega Icon Lite in black and red variants. Go for an upgrade that is light on the budget but heavy on the core and performance. Equipped with the same GO OS, the Flare A2 Lite can be your buddy as you connect to the world and go online! It sports a 5-inch TrueView 18:9 display and a unique back design in either blue, black, and red colors. 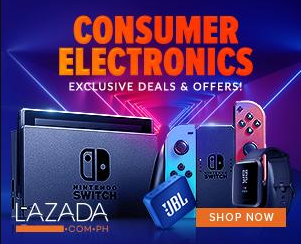 This 2019, make the big switch and get yourself an upgrade! Be sure to check out any Cherry Mobile concept stores and kiosks for a personal experience on the device.